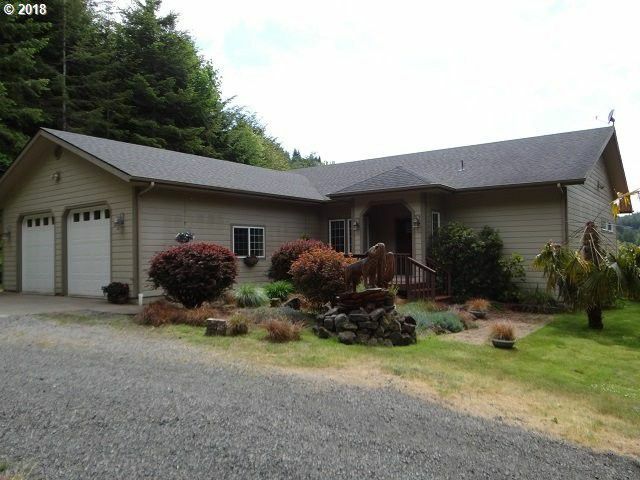 Outstanding home with 88.58 acres on 2 tax lots. Marketable timber and farm land included. Enjoy the private setting with a valley view in this 2005 Ranch Style home. Includes vaulted ceilings beautiful flooring large rooms throughout kitchen with granite counter & eat bar oak cabinets recessed & special lighting formal dining room master bath walk in closet sliders to the back deck oversize garage work bench and much more!